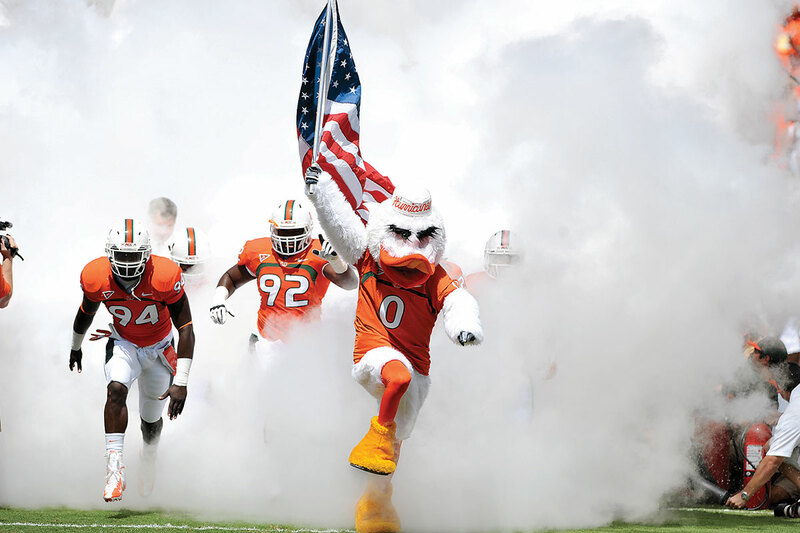 Since Miami football reached national prominence in the early 1980's, no program in the country has won as many national championships as the Hurricanes. 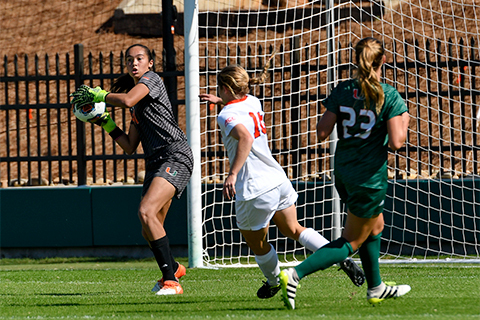 The Hurricanes have a rich history of earning conference and national honors, both on and off the pitch. The Hurricanes baseball team, as the ACC regular season champions returned to the College World Series in 2016. The World Series trip was the 25th in program history, the second-most of any school nationwide. For the second consecutive year and third time in the last four, the University of Miami women’s tennis team was honored as an ITA Academic Team and six Hurricanes were tabbed as ITA Scholar-Athletes. The Miami Hurricanes are part of the Coastal Division of the Atlantic Coast Conference and field 17 varsity sports. 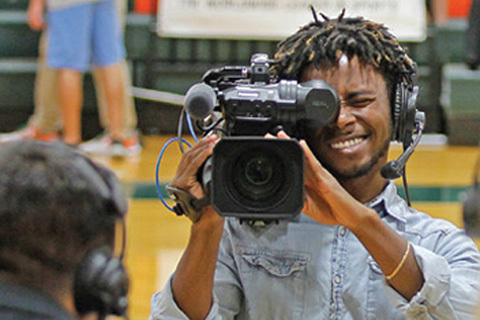 The University of Miami’s Department of Intercollegiate Athletics is dedicated to developing and supporting its more than 400 student-athletes in their efforts to achieve personal, academic, and athletic excellence. 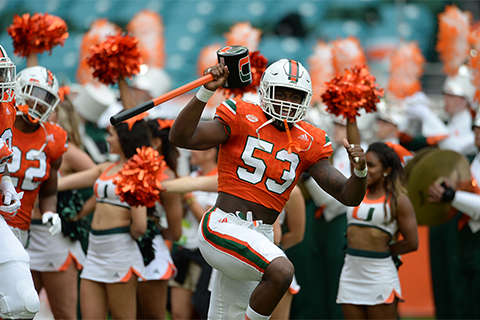 The Miami Hurricanes football team plays its games at Hard Rock Stadium and has the support of more than 30,000 season ticket holders. In 2015-2016, Miami had 11 programs qualify for postseason play and featured 31 All-Americans. Be part of the action by following our robust social media platforms and find the gear you need in our online store. The U is #BuildingChampions! 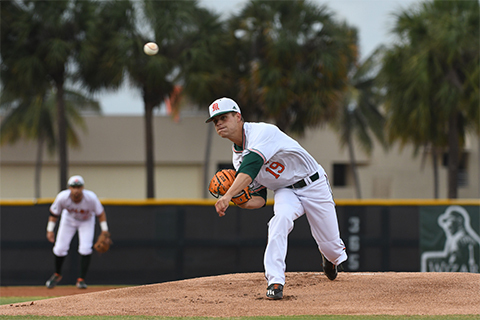 One of the top private higher education institutions in the country, the University of Miami is committed to making sure its student-athletes have the resources and programs they need to succeed, both on and off the field. UM has one of the highest graduation success rates among ACC schools.